After pastorates in Alaska and Florida and a 22-year Army chaplain career, Phil Conner came to Gateway Seminary in 2009 to head the Doctor of Ministry program. Prior to his three-year leadership position as director of the Doctor of Ministry program, he had numerous opportunities for ministry and leadership training, including a Clinical Pastoral Education (CPE) residency at Walter Reed Army Medical Center, three years as chaplain for an Army addiction treatment facility and three years as the curriculum developer for Pastoral Ministry Training at the Army Medical Department Center and School (AMEDDCS). He taught Critical Incident Stress Management (CISM) courses throughout the United States, Germany and Guam for Crisis Responders in the Army, Navy, Air Force, civilian agencies and Baptist groups. Conner continues to develop his chaplain ministry resources and skills participating in CISM training, SBC Disaster Relief training and CPE training. He taught Baptist Disaster Relief Chaplain training and was a presenter at the 2011 Warrior Transition (Wounded Warrior) Unit Chaplain Training Conference, AMEDDCS. He is a board certified clinical chaplain with the College of Pastoral Supervision and Psychotherapy. 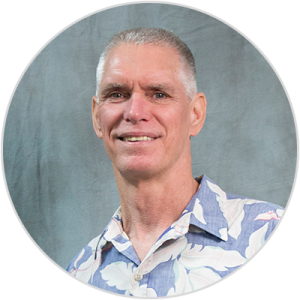 During his sabbatical leave he was the national trainer for the Annual Chaplain Sustainment Training for all NAMB endorsed chaplains and taught pastoral care courses at the Malaysian Baptist Theological Seminary and at the Baptist Theological Seminary, Singapore. The opportunity to lead the chaplain concentration at Gateway unites his interest in teaching, developing chaplains and promoting on-site pastoral care to those in need. Phil is married to Dee. They have two children, Daniel, married to Hannah, and Diana, married to Ben, and four grandchildren: Daniel’s children, Emma and Peter; and Diana’s children, Annabelle and Ben. One priority is visiting family in New York, Colorado and Arizona. When possible, Conner enjoys traveling, water sports, motorcycle riding and an antique car.